The Mura River Biosphere Reserve, located in the eastern part of Slovenia, has been recently designated a Unesco biosphere reserve, adding a feather in the cap for Slovenia, which is proud and rightly protective of its green heritage. We spoke to Maja Pak, director, Slovenian Tourist Board, about the implications of this Unesco label and the growing interest of the Middle East in Slovenia. “We are delighted that the Mura River has been designated a Unesco Biosphere reserve as it will not only provide greater international awareness of the reserve's uniqueness, but also allow for its protection well into the future for generations to come. Through this greater awareness it is hoped that tourists seeking green, healthy and active holidays will choose Slovenia and the Mura River as an exciting and picturesque place to visit, and for those that have visited and enjoyed Slovenia in the past, it is hoped that the Mura River Biosphere will prove yet another reason to return to Slovenia and offer a 'new' place within the country for avid travellers to discover and explore. 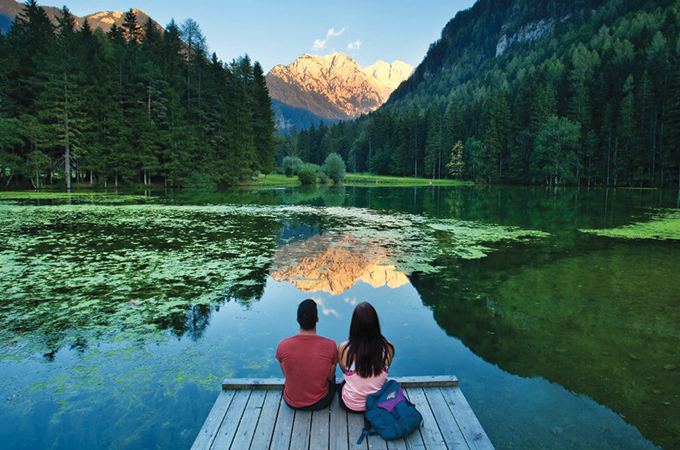 Earlier this year at ITB Berlin, Slovenia was ranked among the World's Top 10 Sustainable Destinations 2018, and ranked "Best in Europe" for tourism sustainability. At the same time, Slovenian tourism has been experiencing positive year on year visitor growth with double digit percentage growth since 2015. Not only has there been an increased number of arrivals and overnight stays, but also increased interest in Slovenia from foreign tour operators and the media. “Slovenia is a winter wonderland offering visitors from the Middle East a number of unique and fun experiences perfect for families, couples and even groups of friends. Situated in the heart of Europe, it is a boutique country between the Alps, Mediterranean Sea, mysterious Karst with more than 11,000 karst caves and Pannonian Plain, rich in healthy water springs. As such all four seasons can be thoroughly enjoyed in a number of environments from sea to Alps, all within a short travel distance. As each season has its own unique charm and attractions, we believe that one should visit Slovenia at least four times in order to experience the different 'seasonal faces' the country has to offer, says Pak. In winter, Slovenia abounds in natural snow. The modern ski centres boast a total of more than 300km of ski runs and 280 km of winter cross-country trails allowing many choices for alpine and Nordic skiing, as well as snowboarding. For the more adventurous there are even eight ski jumping hills: from the smallest for children to the second largest ski jumping hill in the world. Night sledding and torch hikes are also another exhilarating and romantic way to actively experience Slovenia. Formed over millions of years, the subterranean world of Postojna Cave becomes a unique Christmas venue where the Living Nativity Scenes are created along the entire five-kilometre tourist route transforming Postojna Cave into a magical Christmas venue offering one of the most beautiful and unique Christmas experiences in the world. Pak advises that winter is also the perfect time to rejuvenate and experience the health and life-giving waters of Slovenia’s many natural thermal spas. Thermal spa resorts not only offer special packages at this time for wellness and selfness, but some also provide the unique experience of being able to swim outside in hot thermal waters while snow falls on one's head. The experiences are truly relaxing and provide a unique opportunity to experience a beautiful winter wonderland landscape from the warmth and comfort of an outdoor thermal pool. THIS year again Slovenian Tourism Board will be running a special campaign just for GCC residents, whereby children under 12 can ski for free with complimentary ski lift passes, making Slovenia perfect for a family ski experience. The basic packages include four nights at a ski resort; hotel entertainment and recreational programmes; three full day ski passes; winter activities: walks including Nordic walking basics, rural delicacy market, evening walks with torches, live music evenings, creative workshops for children; and one night in the Slovenian capital Ljubljana and chance to enjoy the city's cultural and culinary attractions. For those wishing to experience Slovenia winter highlights, another recommended five-night package includes two nights in Slovenia's capital Ljubljana with visits to Bled - the famous island in the lake, considered one of the world's most beautiful scenes, visit to the Postojna Cave; one-night glamping; and two nights at a thermal spa resort, enjoying a personalized wellness or selfness programme. 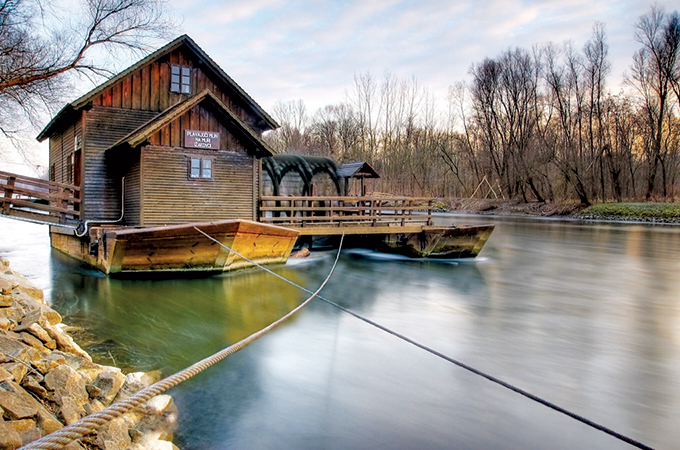 Slovenia is among the world's best and pioneering glamping destinations. 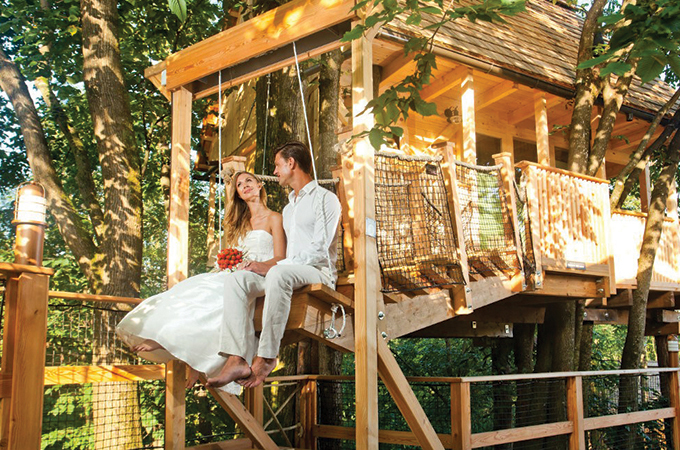 There are many glamping resorts that remain open year-round, however there are also some that close for the winter. The modern facilities of the glamping resorts means that guests remain warm and toasty even throughout the winter, which provides a seasonal backdrop that can make the whole glamping experience that more romantic and snug. Hit Lebanon’s slopes this winter!